Doggles makes several styles of eyewear for dogs. “Let’s go surfin’ now, everybody’s learnin’ how,” come on a car safari with me. That is some dogs’ favorite song parody, especially those that like to stick their heads out the window at 60 mph or more. There’s a problem, though: fast-moving air and bright sun damages your dog’s eyes. Have no fear, though, a Northern California company has your pup’s eyes covered. 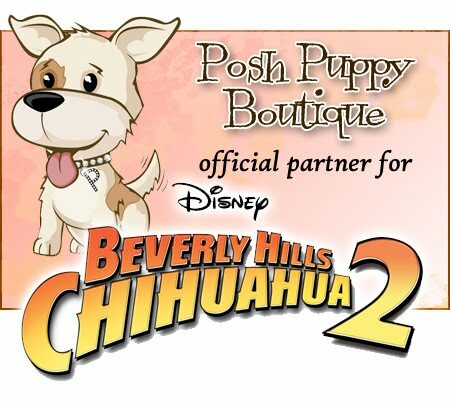 And so does the Posh Puppy Boutique. Feast your eyes on our wide assortment of Doggles eyewear. Sure, Doggles makes a wide assortment of goggles designed for dogs, not humans. But Doggles also has its K9 Optix Sunglasses for Dogs, like these silver rubber frames with pink lenses ($18). In sizes from XXS-L, they have a deeper lens cup to protect a dog’s protruding eyes, wide nose bridge and foam padding throughout. Adjustable head and chin straps keep them secure. These Doggles are for the sporty set. This pair of K9 Optix with blue frames ($18) is perfect for the sporty set. And check out these in pretty and pink ($18). And these for big and little girls. While fashion is great for protecting your dog’s delicate eyes from the harsh glare of the sun, more traditional ILS Doggles, like these Silver Skulls ($25) add protection from the wind. Similar in design to a human’s swimming goggles, they have the traditional features that set Doggles brand pet eyewear apart: shatterproof lenses, anti-fog coatings, flexible rubber frames and interchangeable lenses let you mix your pet’s eyewear to their outfit or yours while providing 100 percent UV protection. You will find a wide assortment of colorful bandanas at the Posh Puppy. We even sell complementary accessories to match the Doggles. Check out the Purple Pooches Bandana ($12, in sizes from XS-L), which goes great with the Lilac Flowers Doggles ($25). Add even more UV protection with a purple wide-billed Dog Visor ($18) from the pet division of sports wear and wetsuit maker Body Glove. These chemical-free visors even have a sweatband for added comfort. Sizes range from 2XS-XL. You can also celebrate your Chihuahua’s Latin heritage by outfitting them with a brightly-colored sombrero ($22) in small or large. Perfect for strutting down Santa Barbara’s State Street during Fiesta in early August, these sombreros come in black, pink and turquoise then decorated with sequins and metal tape. An elastic cord keeps them firmly in place. Check out these and our 10,000 other fashionable pet clothing items and accessories available only in one spot: the Posh Puppy Boutique. These sneakers will protect your dog from burning concrete and asphalt. Protect your precious pup when taking them for walks on hot summer days and do it in style. The Posh Puppy Boutique has several products aimed at keeping dogs safe while outdoors. They include: footwear, hats, cooling bandanas and wraps plus herbal balms to soothe sunburned skin. Did you know that asphalt can reach temperatures of 120 degrees F or more on a windless, hot, sunny day? Concrete can get even hotter, coming close to the boiling point of water (100 degrees C, 212 degrees F). You would be in pain quickly while walking barefoot under those conditions. Your pet’s feet are also suffering under this intense heat. Protect your pet’s pads with a set (4) of our Denim Blue Canvas Dog Sneaker Shoes ($55). Adjustable Velcro ankle traps make these fleece-lined shoes with rubber soles comfortable while insulating your pet from the road. These shoes come in eight sizes. For a more girlish look, consider our Pink Camouflage Sneakers with Light Rose Crystals ($48). Decorated with Swarovski crystals for added bling, your little princess will literally sparkle on her walks. Six sizes are available. These dog shoes are also available in red, navy and green camo. These dog visors come in more than 20 colors and patterns. Shoes protect your dog’s feet from the asphalt. Visors and hats help protect their eyes. Here at the Posh Puppy, we sell 21 sun visors in a host of colors and patterns, such as this Sun Protective Dog Visor Hat in Tuga Blue ($18). Made with solid or print nylon and lycra, they are sturdy enough for the wind but light enough for your dog. Sizes range from extra-small to extra-large. Combine fashion and function in our Dazzling Dots Sundress with Matching Hat ($35). The sundress protects your baby’s tender skin while the hat offers a tiny bit of shade. The Cool-It Bandana is filled with water-absorbing crystals. Another way to keep your pet comfortable in the sun is with a cooling bandana or wrap. The Cool-It Cooling Bandana ($12) comes in blue/brown and pink. Available in small and medium, these bandanas use a polymer crystal that retains 30 times their weight in cool, comforting water. The bandanas will keep your dog comfortable for several hours. Reflective tape adds safety for those late afternoon and early morning romps. The iCool Vest helps keep your dog comfortable on those hot summer days. The iCool Vest ($42) is one of several products we sell that wraps your dog’s core in lightweight, water-cooled material. Simply soak thoroughly in cool water, wring out the excess and apply. Sizes range from small to double extra large. Finally, at the end of a long, hot, fun-filled day, moisturize your dog’s pads with Pawmagik ($24), a pad-protecting balm made with natural ingredients. Spa Dog Paw + Nose Moisturizer ($15) is designed to help heal and protect your dog’s delicate nose and feet, hydrating them. 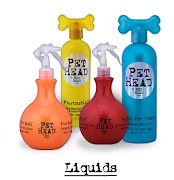 Learn more about all of these fabulous pet products at the Posh Puppy Boutique. Call us at 888-837-5230 or find us on Facebook Twitter, Pinterest and other social media. Celebrate America’s birthday with pet clothing and accessories proudly Made in the USA and available from one American company: The Posh Puppy Boutique. Our Miss USA dog dress is perfect for your beautiful little girl. One example is our Miss USA Dress ($40), available in sizes from extra small to large. Made from super soft cotton, it has lycra ribbing and a sash design for your All-American Beauty. The I’m A Star tutu dress ($40) is also made of soft cotton and features white and red stars on a blue background. It is machine washable and also Made in the USA. Another Made in the USA outfit, sure to make your little girl outshine the fireworks, is this stunning—and handmade—Patriotic Night Dress ($85) featuring a fireworks-like pattern. Made with cotton, it has a lined cotton skirt plus easy-closing Velcro around the neck and girth. The dress is topped with a satin ribbon. Sizes range from Teacup to Medium. Your little girl will look great in this Tiny Star dress! Dogs ranging from tiny (teacup) to medium will look festive and fantastic in our Patriotic Tiny Star Dress ($99). The cotton skirt and cotton dress are topped with a red, white and blue satin ribbon. Perfect for three holidays—July 4, Christmas and Valentine’s Day—is this solid color Miss Red Dress ($50) by designer Ruff Ruff Couture. Made with double sided red velvet and diamond sparkle tulle skirt, it is topped with a chiffon rosebud. Sizes range from extra small to extra-large. Top off your little girl’s patriotic outfit with a colorful Fireworks Whirlie Barrette ($14). This 2-inch korker bow barrette is also Made in the USA. This Patriotic Pup Sweater ($28) is great for colder nights and long vigils for welcoming home the troops. Six sizes are available. Our red, white and blue Animal Farm (dog and pig pattern) collar ($30) is not only patriotic, but eco-friendly. It is made from rapidly-renewable bamboo, which is the fastest growing plant on the planet. A matching 5-foot leash is also available. Check out these and many more pet clothing and accessory products at your home for quality couture dog fashions: The Posh Puppy Boutique. Call us at 888-837-5230 with any questions. The portable Splash About Pool is designed for dogs. As anyone who has gone outside recently can attest, the “dog days of summer” are here with a bark and a growl, not a whimper. The Posh Puppy Boutique has several products to help your dog safely splash away the scorching summer, starting with a wading pool designed for dogs. The Splash About Heavy Duty Dog Pool (starting at $100) comes in small, medium and large sizes. Made with extra-tough PVC plastic, the largest model is 63 inches in diameter by 11.8 inches tall. The pool is designed to be folded, making it easy to take on summer trips. Pool Pup Steps give your dog an easy way out of in-ground and above-ground pools. Wading pools are great for dogs because they can get in and out easily. Human-sized swimming pools, though, can be dangerous if your dog can’t find the steps. PoolPup Steps ($200) provide a safe solution for in-ground and above-ground pools. Designed for use with both types, they will not harm vinyl liners. Simply install the steps wherever you want—say at the deep end—then spend a few minutes teaching your dog to use them. Designed for dogs weighing up to 50 pounds, they provide peace of mind knowing your pet has an exit from the pool. These Life Vests provide peace of mind when pets are on or by the water. Another great safety option for dogs around any body of water—from backyard pool to a river, lake or trip to the ocean—is a doggie life vest. Made with canines in mind, the Angione 3M Reflecting Life Vest ($60) comes in navy, purple and red. Made with a tough polyester lining, they fasten with Velcro and strong plastic buckles. All include a sturdy nylon grip on the back to let you lift your dog out of danger. Sizes are small, medium and large. Their reflective outer surface adds to their visibility at night. We also sell three floats designed for dogs: The colorful and functional Aqua Pup Pool Float in small ($85) and large ($125) and a small Inflatable Raft ($40). The bone-shaped Aqua Pup floats have tear-resistant vinyl over a polyfoam filling providing safety and comfort in the water and out. The inflatable raft—designed for dogs weighing less than 30 pounds—is about 6 feet around and shaped vaguely like a starfish. Find these and many other fashionable pet-related products at the Posh Puppy Boutique. Connect with us on Facebook, Twitter and now Pinterest or call us at 888-837-5230 with any questions. Father’s Day is all about showing men a little love. One way dog owners can do it is by outfitting their pups, Pugs, Papillion’s, Pekingese, Pitty, Poodle, Portuguese Podengo or puppy pal with a cool shirt, collar, bandana or from the Posh Puppy Boutique. This simple Heart Daddy Scarf ($15), comes in small or large. The classic red and white colors make it stand out in a crowd. Best of all, it is Made in the USA. Our Daddy’s Lil Girl ($32) tank shirt comes in your choice of 12 colors including pink, green camo, pink camo and a host of solid colors. It’s available in extra-large only. Daddy’s Boy is available as a tank or T-shirt ($32). In sizes from small to 4XL, it comes your choice of 17 colors or patterns. Made with 100 percent cotton jersey, the logo is created in rhinestones for a bit of bling for your big boy. The I (Heart) My Daddy tank top is made with blue and white horizontal stripes. Sizes range from 2 XS to XL to fit nearly every dog. Another variation on I Heart My Daddy ($28) comes in sizes from extra small to triple extra large and your choice of six colors, all featuring a red heart and message. I Love Daddy and I Love Mommy cover this hoodie. Our Flannel Hoodie ($30) honors men and women since it is covered with “I love daddy” and “I love mommy.” Sizes are extra small and small. It comes in blue or pink. The I Love Daddy Romper Suit ($40) is made with soft velour and has “I Love Daddy” in metallic print. Sizes include extra small and small. This Romper Suit doubles as pet pajamas. Your dressed pooch can go for a walk wearing a Daddy’s Angel nylon ribbed collar ($20). Also available for cats, it comes in four sizes. Matching leashes start at $20. Dad can also take his favorite trained dog on a ride outfitting his favorite pooch with a black Born to Ride Motorcycle Harness Jacket ($42) with Velcro closures at the neck and waist. Sizes range from 2XS to large. Made with faux leather, the jacket is fully lined and has an embroidered eagle patch on the back. Find these and many other great Father’s Day pet-related gift ideas at the Posh Puppy Boutique. Connect with us on Facebook, Twitter and now Pinterest or call us at 888-837-5230 with any questions. For the free-wheeler in all dogs, "Born To Ride."